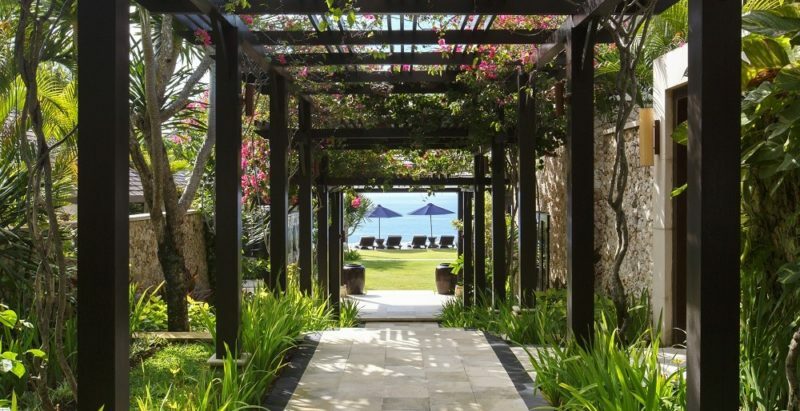 From the magnificent bougainvillea pathway that leads to stunning clifftop views, Villa Pawana is designed to transport you to a place of complete relaxation and tranquillity. 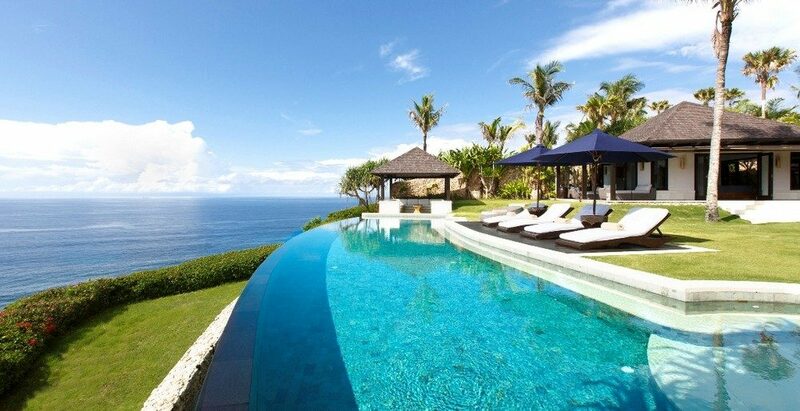 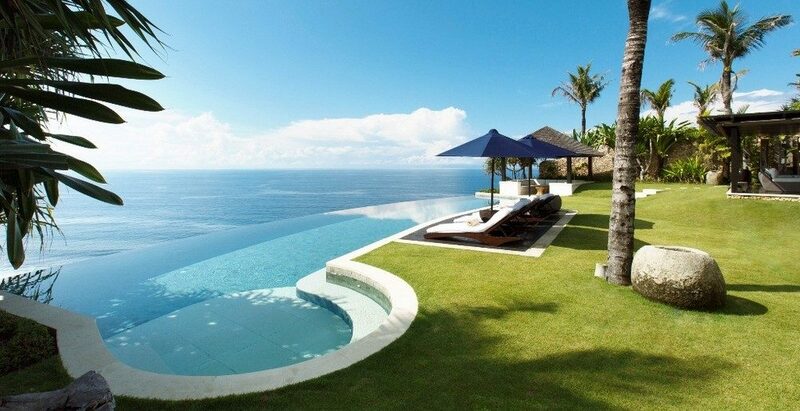 With its clifftop bale beside the curved infinity pool, secluded tranquility is yours. 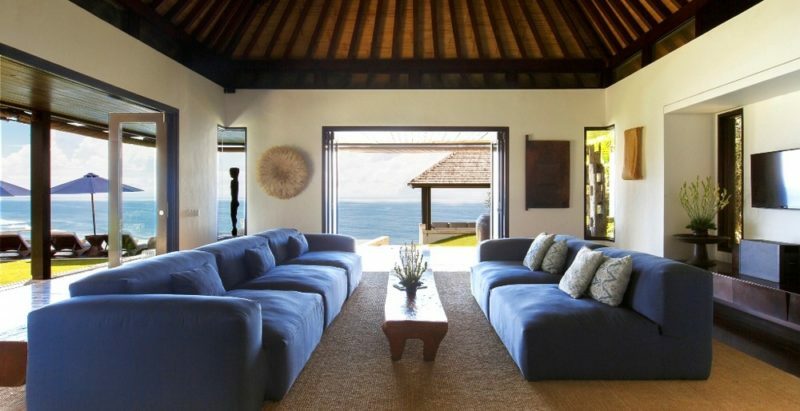 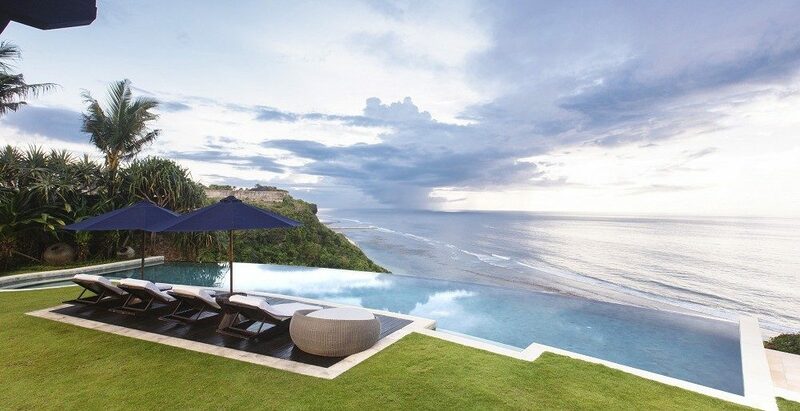 The ungasan clifftop resort’s Uluwatu private pool villa options optimise the premium, private luxury villas Bali visitors dream of. 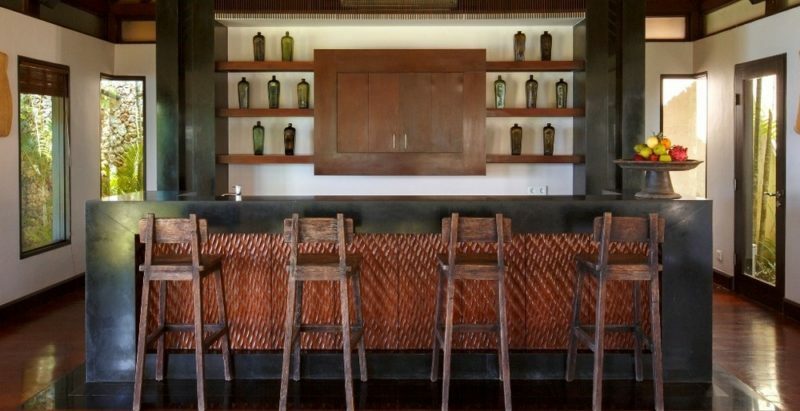 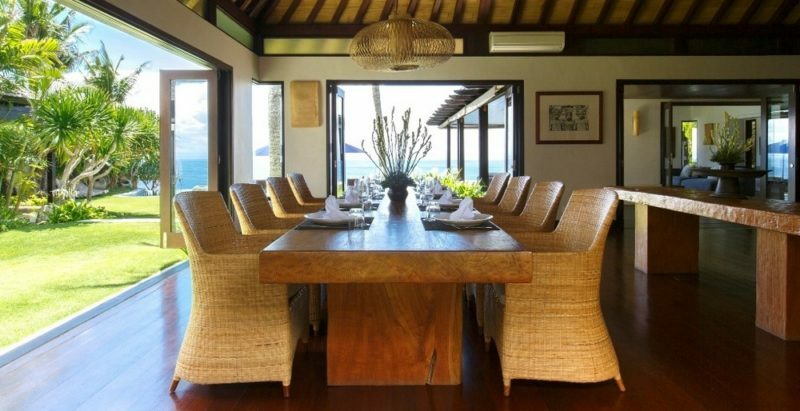 With your own private butler and an inredible range of in villa services, these are the highest quality large villas Bali has to offer. 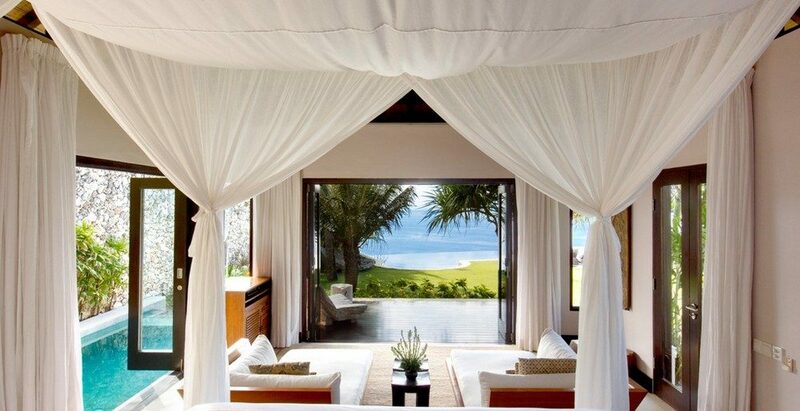 Master Bedroom: Wake up in the largest bedroom in Pawana and you’ll appreciate its tranquil space. 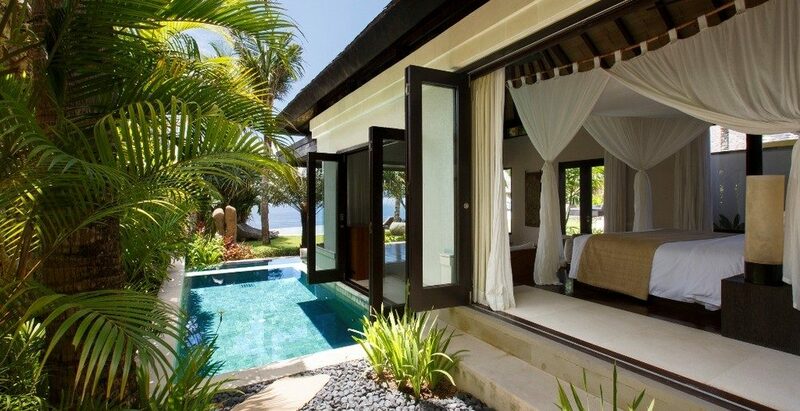 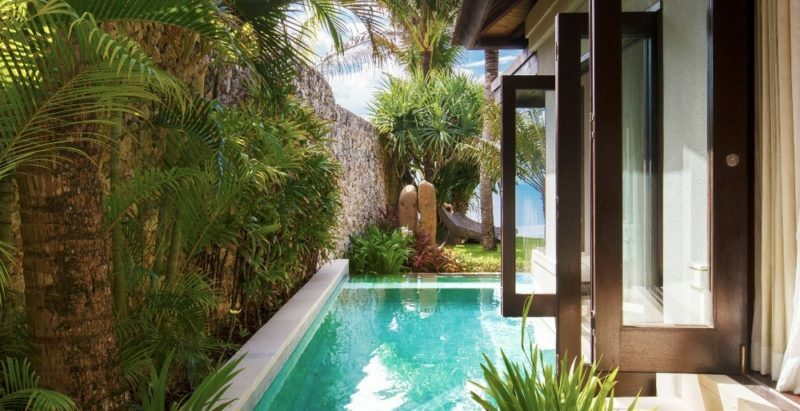 This full ocean view master bedroom features its own private pool, soothing outdoor shower and a large bathroom. 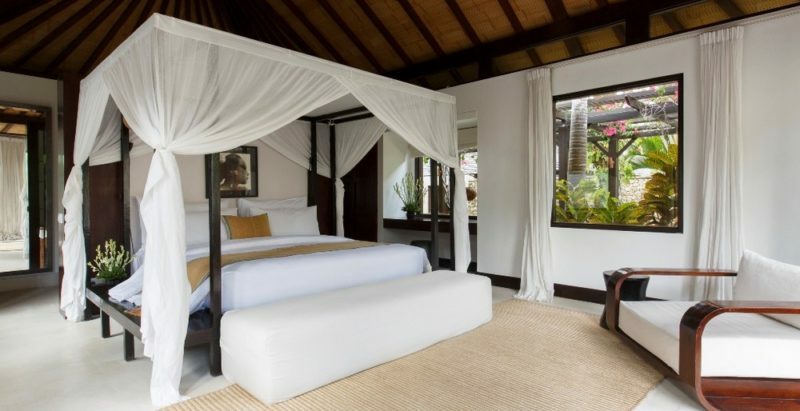 Bedroom two: Completely private from all the common areas this spacious bedroom features plenty of garden space and private outdoor area for relaxing in peace. 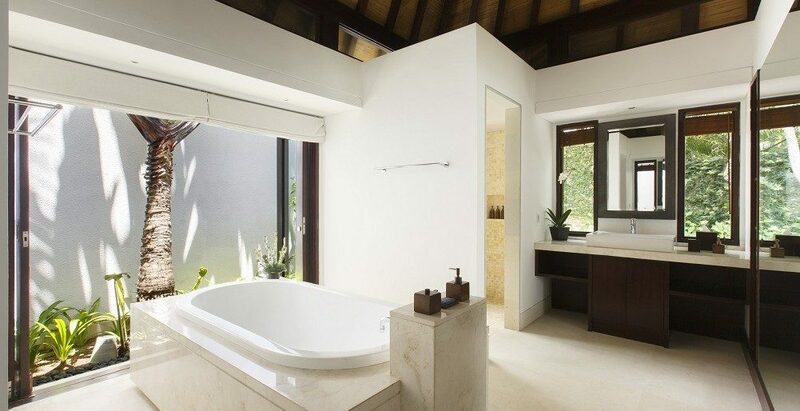 Pamper yourself in the huge bathroom or wake up the day in the outdoor shower. 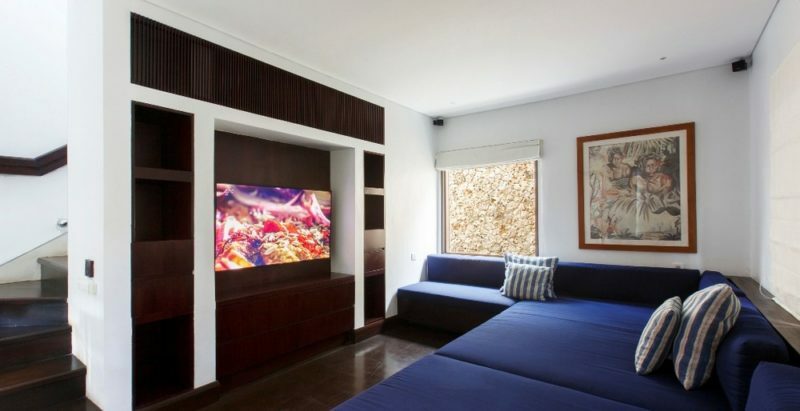 Bedroom Three: A private retreat all of its own this large bedroom is secluded from all the common areas and features plenty of garden space and private outdoor area. 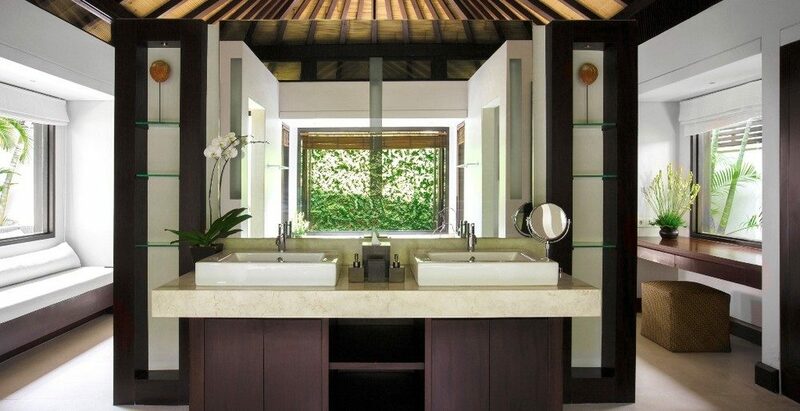 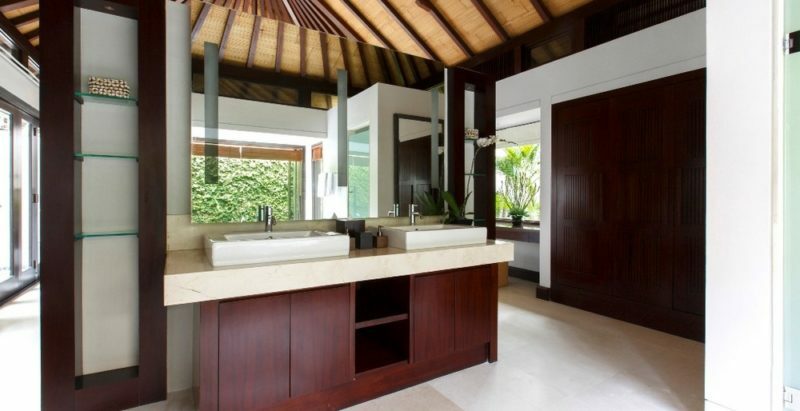 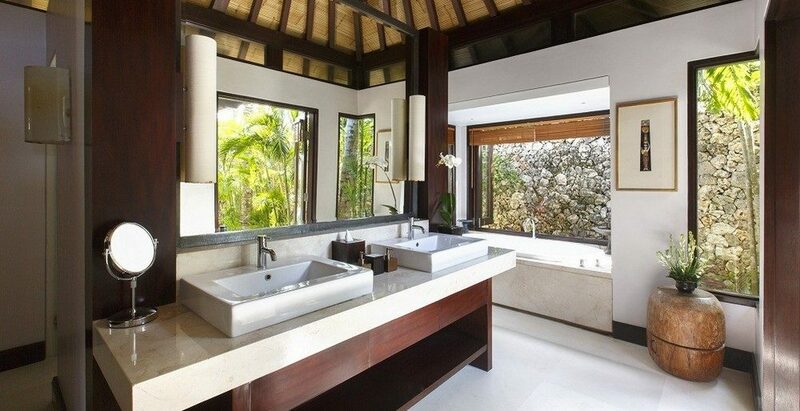 Indulge yourself in the generous bathroom or refresh yourself in the outdoor shower. Bedroom Four: Surrounded by plenty of outdoor garden space this generous bedroom is completely private from all shared areas. 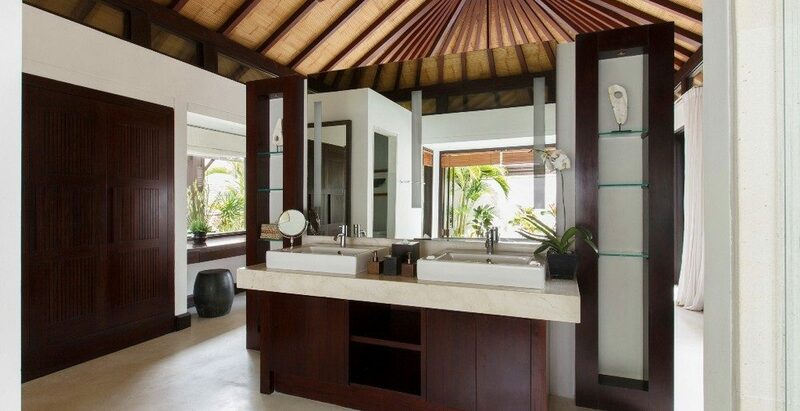 Its private outdoor area, huge bathroom, and outdoor shower will make all the difference to your stay. 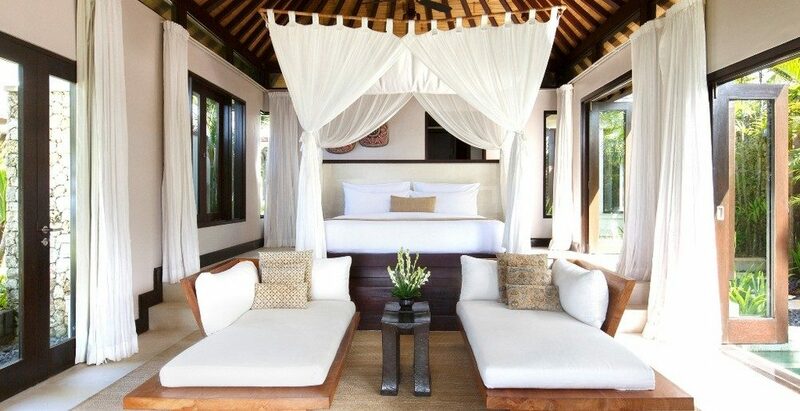 Bedroom Five: The largest of the guest rooms this calming space is completely private from all shared areas. 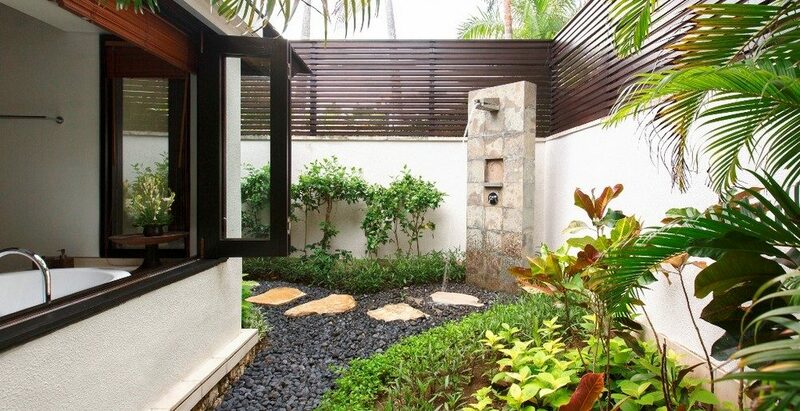 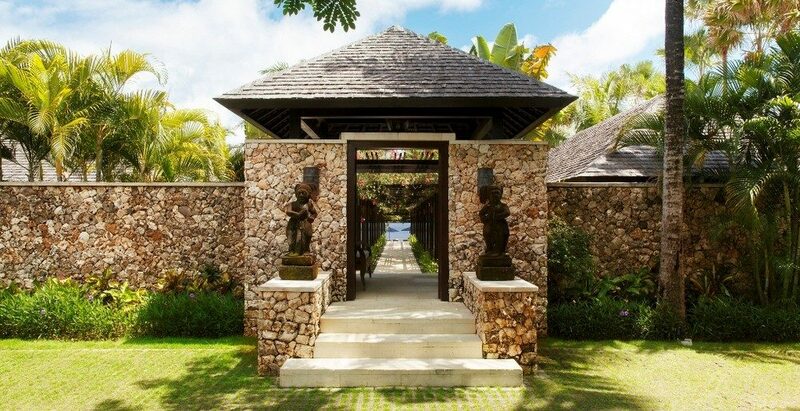 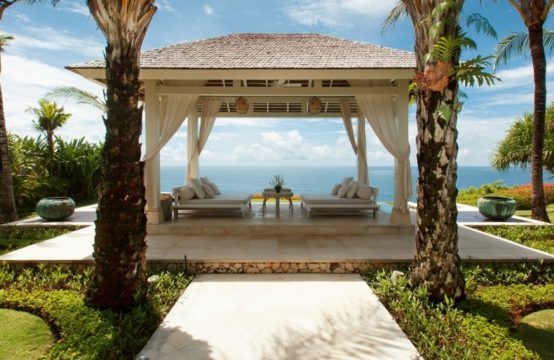 With a private outdoor area all to yourself and an outdoor shower, this is the place to pamper your soul.